The video work, which will be joined by three other awesome glitch artists, will be projected somewhere in the gallery, so get hunting! 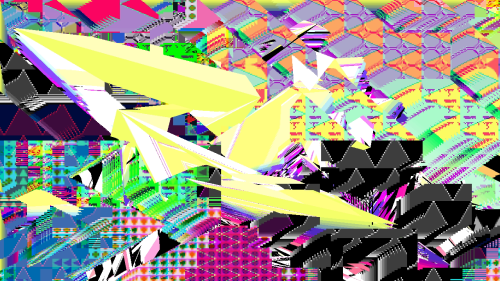 In addition to all the other activities going on throughout the day – t-shirt making, zine making, DJs and music – Rosa Menkman will be giving a talk/workshop about glitch art, which I highly recommend attending. Come meet us all!